More than a year ago, I was taking a writing class through UCLA Extension. The instructor gave us the following prompt: “Write about the fabric of your life.” Is your life silk? Flannel? Cotton? 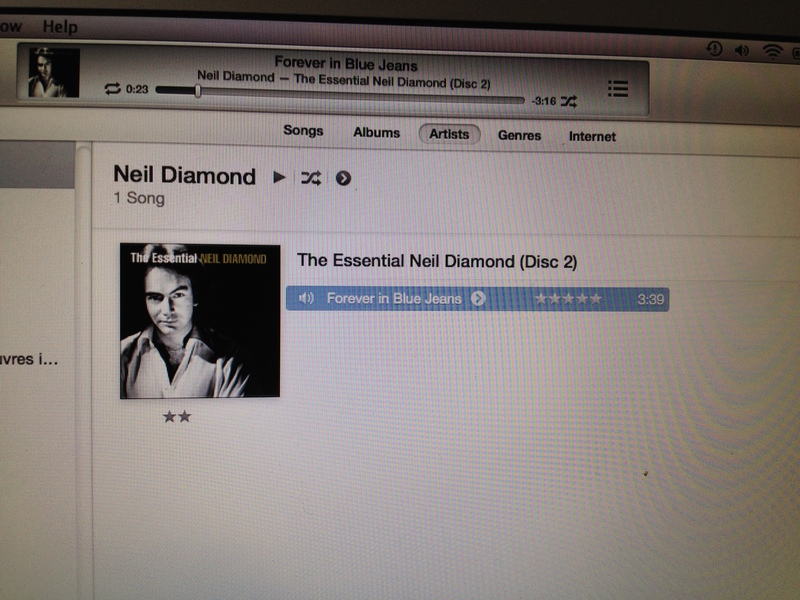 From that prompt, I wrote a personal essay about Neil Diamond’s song “Forever in Blue Jeans.” And that personal essay was adapted and then selected for inclusion in an anthology titled Everything I Need To Know About Love I Learned From Pop Songs. How would you describe the fabric of your life? Is there a song that has taught you about love? Feel free to share your answers in the comments section! From time to time, I select a book from my bookcase to be re-read. I do this for a few reasons. First of all, I have so many books, and am always finding more books to add to my collection, that it comes down to an issue of space. Secondly, some of my books were initially read so many years ago, I don’t even remember them all that vividly. So, if a book isn’t one I would enjoy reading again, then I don’t need to keep it. 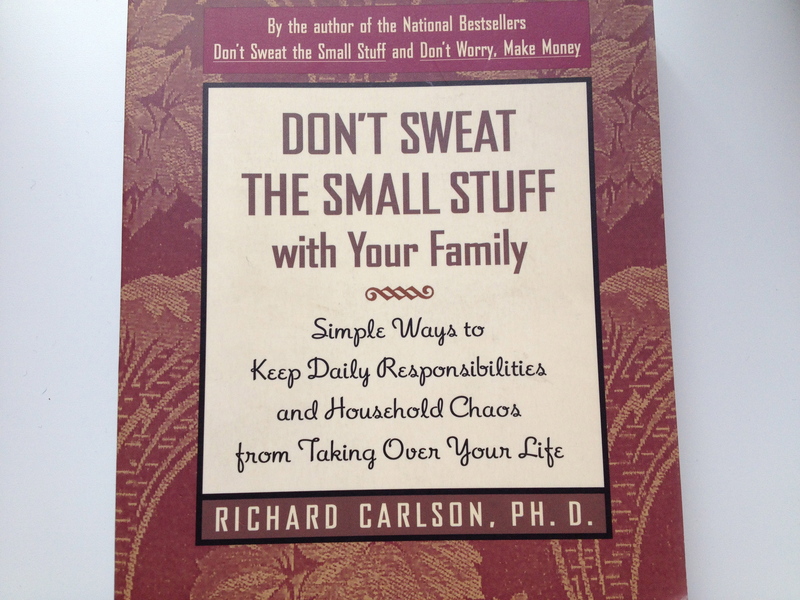 Recently I re-read Don’t Sweat the Small Stuff with Your Family by Richard Carlson, Ph.D. The book has a copyright date of 1998, and I remember I first read it when I was still a full-time college student and working part time at the Beverly Hills Public Library. I started teaching in 2001, so it’s been at least 15 years since I’ve last read this book. What surprised me on this re-read, is that the advice that resonated with me then, still resonates with me now. Upon my first read, I used a pink pen to underline different phrases. I had drawn an arrow next to the tip’s title. I had even folded down the page. This time around, I put a post-it on the page as a reminder that this was something I wanted to write about. (Hence this blog). During my first read, I was newly married. During this read, I was on the verge of celebrating my 17th wedding anniversary, and my son will be turning 8 next month. And I’m proud to say that I had acknowledged we were living from our hearts then, and we continue to live from our hearts now. We certainly don’t let others’ expectations dictate what we do or don’t do. I know several people who strongly disagree with our choice to rent instead of own. I know others who disapprove of me not enrolling my son in any after-school activities. I ignore them and instead, continue to listen to my heart. 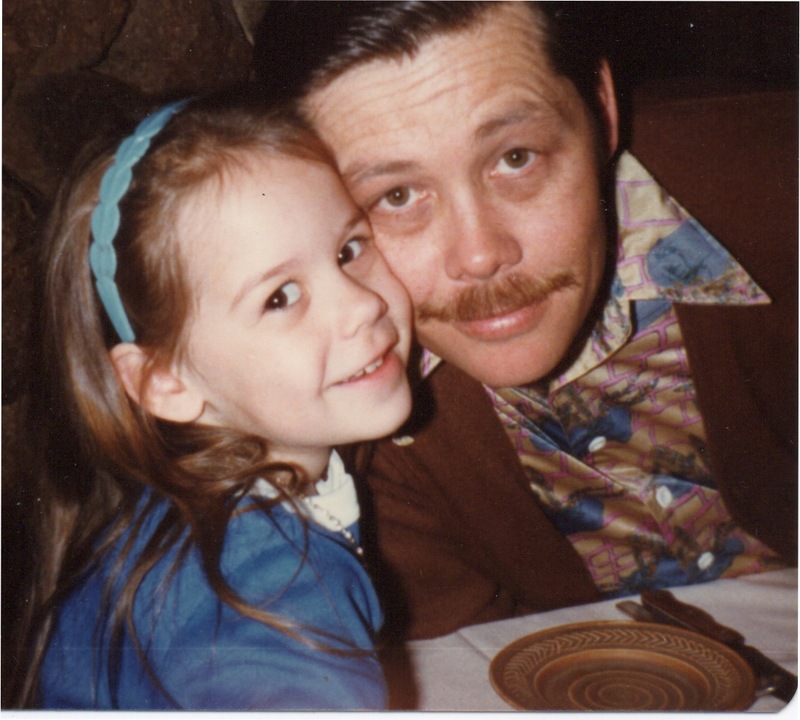 Last week, my blog was about my dad. This week, I’m inspired by my son. I recently wrote an essay titled, “7 Reasons Why My Son Is Smarter Than I Was At His Age.” It began as a list I started scribbling down after one of my showers. And the more I wrote and developed the piece, the more I realized how much has changed since I was 7 1/2 years old. Today is my dad’s 70th birthday! And I’ll be honest, it’s not always easy to get him gifts. I know he tells me that he doesn’t need gifts (and really, no one needs gifts). But that’s why they’re gifts. They’re given because you want to give them. So although I have already given my dad his birthday gifts, today’s blog serves as a “surprise gift” for him — a top 10 list of reasons why I love my Daddy. (And yes, I still call him Daddy). He’s affectionate. 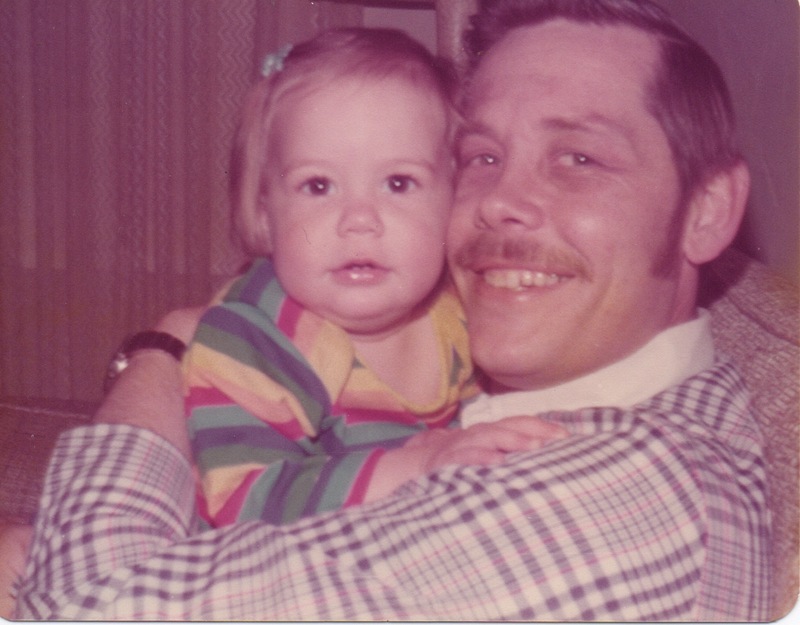 My dad did not grow up in a home where affection was abundant. But, that didn’t stop him (and my mom) from creating a home where showing affection was (and still is) the norm. My dad is still affectionate with me and incredibly affectionate with my son. I’m a year old in this photo. He’s hard-working. I remember my dad working a lot when I was a kid. I remember the middle of the night phone calls (he worked for the phone company). I remember the business trips. But I don’t ever remember my dad complaining a whole lot about it (except for the middle of the night phone calls). He had a job to do. He did it to the best of his ability. I watched, and I learned to do that too. He’s mischievous. As my dad has gotten older, and is no longer working full-time, he’s gotten sillier. He’s not shy about letting strangers know that before he met my mom he didn’t have any gray hair. I’m 4 years old here. He’s in love with my mom. My parents will be celebrating their 41st wedding anniversary next month. And my dad remains very much in love with my mom. It’s clear in the way he holds her hand. In the way he reaches for her tush as she walks by. In the way he looks at her. He always kept us safe. I always had faith in my dad’s ability to keep us safe. He was our family’s designated driver during our family trips, and I knew he’d get us where we were supposed to be, and get us safely back home. He was a willing travel partner. During high school and my early college years, I became increasingly eager to travel. There were a couple of things holding me back though, including a lack of finances, a lack of transportation, and a lack of self-confidence to do it all by myself. That’s where my dad came in. He and I went on several “daddy-daughter-dates.” We went on a sunset hot air balloon ride. We went to Santa Barbara via Amtrak. We went to San Juan Capistrano. We went horseback riding on Catalina Island. We went whale watching out of Dana Point and spent the night in Laguna Beach. And, we spent three days in San Diego. Those trips will always hold a special place in my heart. 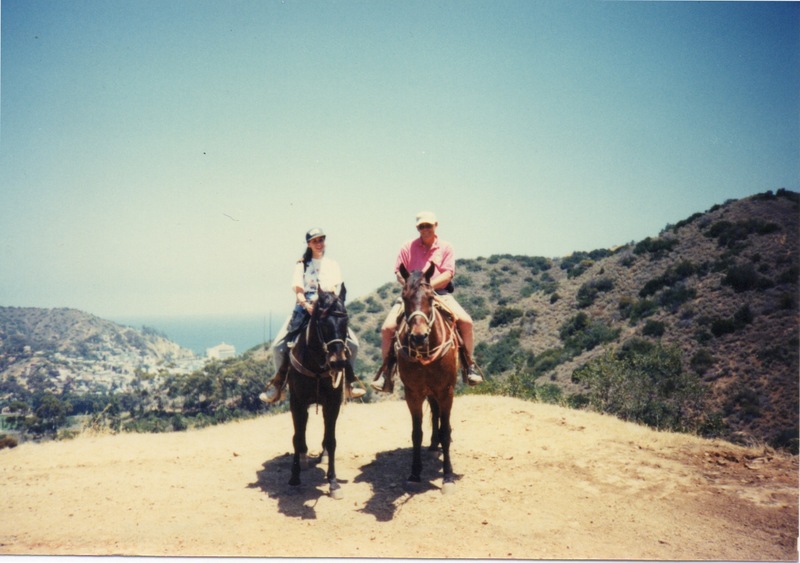 Horseback riding on Catalina Island in 1996. He’s always encouraged me to be smart. I’m a smart girl. 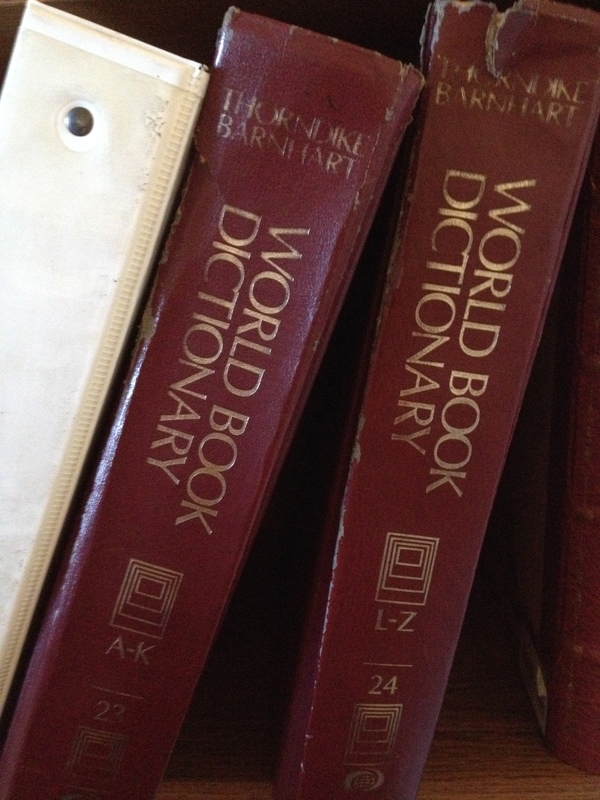 In school, I was equally strong in math and English. For about half of my childhood, I had aspirations to be an astronaut. And my dad always supported that. I never felt that it wasn’t okay to be a smart girl. My dad always made me feel like it was okay for a girl to want to go into space; in fact, that there was nothing particularly special about it at all. 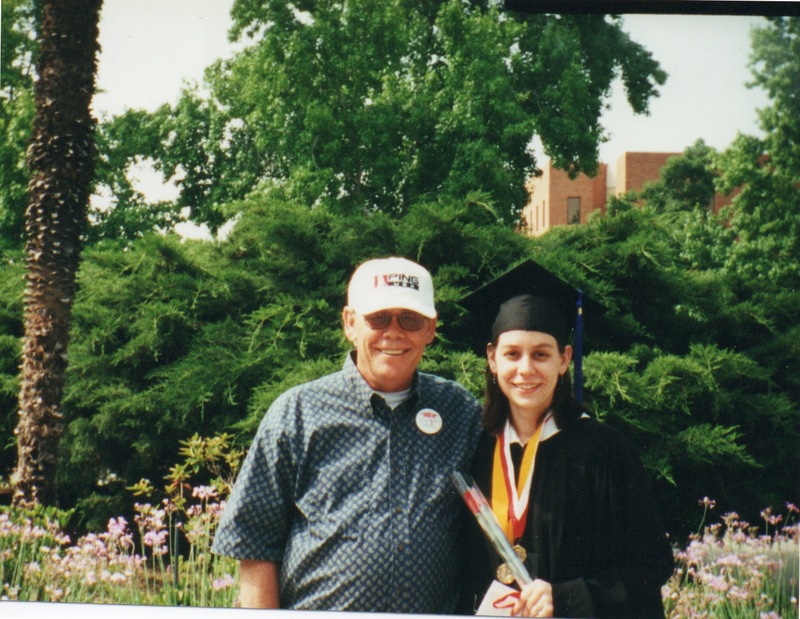 2001 – My graduation from CSUN! He’s a quitter (in the good way). My dad started smoking cigarettes as a young boy. As an adult, he smoked pipes. But in 2016, my dad will celebrate his fourteenth year as a non-smoker. Within the last few years, he’s also quit adding salt and sugar to his foods. He’s made positive changes and has shown me that though it might not always have been easy, it’s possible to quit bad habits. He’s easy to please. When it comes to breakfast, one of my dad’s favorites happens to be a big bowl of Cheerios. He loves my mom’s spaghetti and meat sauce. He knows what he likes, and luckily, his favorites aren’t fancy, gourmet meals. They’re classics for a reason. He’s a good guy. My dad sets a fine example, for both my husband and my son. He’s genuinely a good guy. He’s decent and kind and likable. He’s someone who loves his family. And I’m proud to say that he’s my Daddy.